Update info - De website van taekoplan! 5. Implemented Poomsae elimination or combination of cut-off and elimination. 13. Fix: if column was to be removed and was part of index, the column could not be removed. 16. 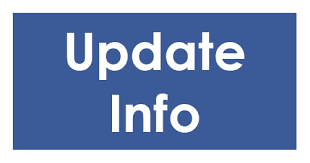 Update Liveupdate to get rid of the caching problems. Should now always be able to download updates. 18. Fixed: issue with poomsae time table. After scrolling sometimes wrong category was selected although mouse pointed to the correct one. 19. Added error messages to Daedo TKstrike output if roundtimes or no. of rounds is missing. 20. Update barcode input for weighin scan to 4 digits. 21. Fixed WTF g1 output filename, tournamentname was not separated from standard file outputname part. 22. Updated function to decide which menu options to show in main menu. 23. Fixed wrong index 'Tarief' in competitor entry. 31. Fixed issue with competitors per category not showing correctly. 35. Invalid procedure call error in Fightschedule fixed. 36. Added missing icons in menubar for schedules and search. 37. Fixed issue with not showing vestsizes at all in time table. 39. Fixed ugly typo which caused a new competitor not to be put in the category instantly after entering his/her details. The message çhanges have been undone' appeared. 40. Fixed small issue in administration for missing index. 41. Updated court partitioning to provide correct vestsize for Daedo GEN1 or GEN2. 43. New: courtpartitioning based on vestsizes. Select age category or vestsizes to create the court partitioning. Combine courts for better division. 44. Fixed some minor visual issues with poomsae results module. Due to removing some unnecessary columns. 46. In the timetable initiating drag/drop of a fight is now delayed for one second to avoid unwanted moves. 47. Removed unnecessary options in seeding module if not using WTF/Taekwondodata seeding. 56. Changed layoutfolder in settings would not be active until next restart. Fixed. TP redirect you directly to the competitor details after scanning. 60. Update Taekoplan.pdf help and imcluded the link to this file in the Help menu. 61: Fixed some issues with search photo option for accreditations. Scrollbar was not visible for the right part. switched for the category again. 67. Added moved fight to the already existing additional fights overview. 69. Added FreeImage library to convert png, bmp and gif on the fly to JPG. This format is needed for the accreditations. 70. Added new properties for barcode width, height and format (type) in the layout designer. 71. Updated weighin view in which you activate/deactivate competitors in a fast manner. It is now synchronized with the weighin process list. 74. Fix for fight for 3rd/4th place. Info sent to daedo was rejected due to '/' in the phase name. 75: Added WTF Draw for schedules between 65 en 128. This was hot topic due to Presidents Cup. 78. Overview avaibale categories sometimes showed 'none'. Fixed. 79. Added number of competitors and active vomp to the weightclasses list in competitor entry. 85. Added finished fight in timetable with colour magenta. 86. Click on playername in bottom timetable module will now show player details. 88. Update Caller module to be one solution for Announcer, beamer and Inspection. 89. Added Start character for Barcode scanning in basic settings. 92: Fix for small issue with missing field in central database. 93: Fixed issue with weightclasses and no show of the list. minor issues to be cleared. 97: Fixed issue with printing, error or not printing at all. 1. Fix for Poomsae in a two day event. date could not be selected for the categories. 1. Fix for Poomsae if import from Simplycompete did not provide valid pair or teamnumbers. 1. Fixed several issues with Poomsae and combination of elimination and cut-off and split categories. 1. Fix for no. of categories in drawsheet printout. Was limited to 50. 3. Improved handling of finished matches in poomsae elimination. 1. Added final weigtinlist option, with realtime weights plus date/time stamp. created and overwrite earlier tournaments. Check is built in to avoid this. category group you can select the category group to use with Daedo/KPP. This enables you to draw for a second group while running the first. 1. In court partitioning the total no. of fight per court and the time needed are now on top of the view. Otherwise with a lot of categories you had to scroll up and down. 1. Added extra fixed rows to leave the header in the same position without scrolling up. 1. Small fix to lock keyboard entry in the newly created pulldown for Daedo and KPP. 2. Fix for not having the last category in the courtplanning calculated for time and no. of fights. when using shared 3rd place. It should be 3 and 3. Is corrected. normal non G1 tournaments. Added Class and Dangrade for import. 1. Small fix for classes for competitor import. 1. Added option to clear categories for date selection in two or more day event. like daedo or KP&P or Budoscore. 2. New: TaekoPlan can now handle draws upto 256 competitors. previous limit was 128. All schemes on the screen and paper are working fine. 1. Fix for courtpartitioning over more than 1 court. The other court totals were two line higher. 2. Changed the categories per date view to use chckboxes instead of line select. 1. Fixed issue with planning on 3 courts. 5. Added option in Simplycompete import to compare on existing name or GAL id. 1. Added A5 jurypaper with only data to be printed on a pre-printed empty jurypaper. 1. Fixed bug when you want to print accreditation without picture. Solved. 5. Changed result format to show name of competitor before teamname in turkish version. 10. For the updated TPSS website you need to use a new mySQL driver 5.3. It is included in the latest setup but you can also install it separately. You can download it from the FTP://taekoplan.nl site. 1. Corrected old WTF logo on drawsheets with new one when running Gx event. 1. Fixed issue with recalculate time in timetable when first match was moved. weightclass, second mentioned 3rd place is loser against losing finalist. 2. Added option to choose between A4 fully printed and A5 data driven juryform. Select this in the print/lists/juryform module. 1. Unchecked the 'use A5 template for juryforms' by default.